The 30-year fixed mortgage rate remained at 4.55 percent over the past week. 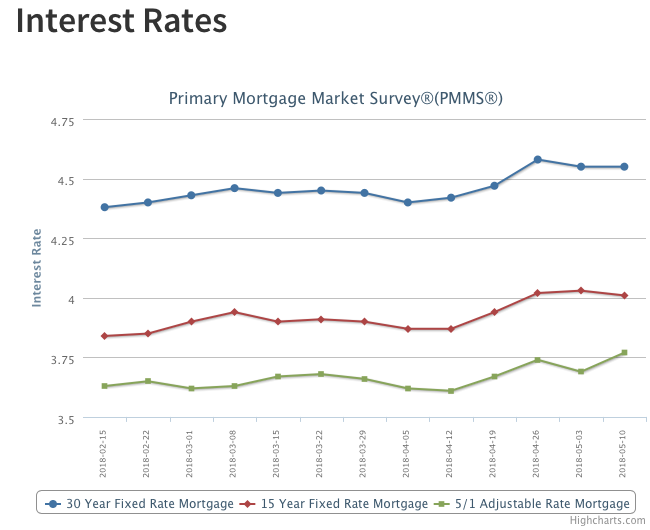 The minimal movement of mortgage rates in these last three weeks reflects the current economic nirvana of a tight labor market, solid economic growth and restrained inflation. While this year’s higher rates – up 50 basis points from a year ago – have put pressure on the budgets of some home shoppers, weak inventory levels are what’s keeping the housing market from a stronger sales pace.